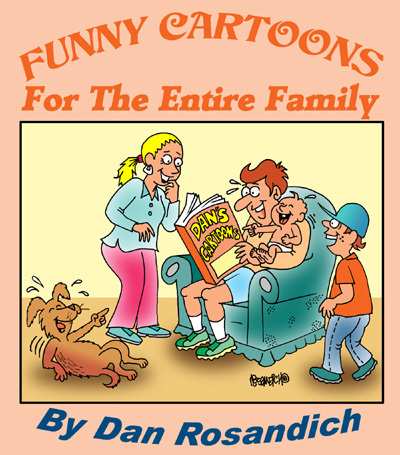 Computer cartoons are ideal for reprint in books, newsletters, magazines, brochures and print ads. Cartoons pertaining to computing and technology are also available for use in digital as well and are a great addition to any Facebook page or web page. Using funny computer cartoons in your next presentation will always make a lasting impression and any of my cartoons about computer technology would work well as introductory images in the beginning of each chapter of a book you might be planning. The potential uses are endless, including computer cartoons for kids in a school newsletter or print ad to promote an educational event.